Johnny Torrio was an Italian-American gangster, who is widely acknowledged as the founder of organized crime in America. Check out this biography to know about his childhood, family life, achievements and fun facts about him. 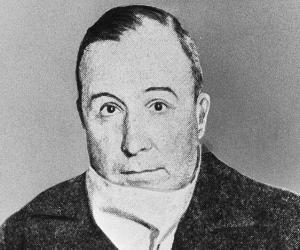 Johnny Torrio was an Italian-American gangster, who is widely acknowledged as the founder of organized crime in America. For his shrewdness, leadership and entrepreneur skill, he was also known as ‘The Fox’, ‘Papa Johnny’ and ‘The Immune’. Born as Giovanni Torrio in Italy, he came to New York with his widowed mother at the age of two. Early in his teens he was introduced to the world of crime through his stepfather’s bootlegging business. Eventually, he joined a group of petty criminals known as the James Street Gang and became its leader. He moved to Chicago at the invitation of his aunt, who operated hundred of brothels and saloons with her husband Big Jim, eventually taking over their business. He not only improved the existing infrastructure, but also began bootlegging, thus amassing huge wealth. To stop turf war, he also met other gang lords and worked out a system of territories. Even after he retired, handing over his business to his protégé, Al Capone, he continued to earn respect, and was considered an ‘elder statesman’ by other gangsters. Johnny Torrio, also known as Donato, was born as Giovanni Torrio on January 20, 1882 in Irsina, at that time a village near the city of Matera in Southern Italy. His father, Tommaso Torrio, a railway employee, died in a workplace accident when Giovanni was two years old. Soon after his father’s death, his mother, Maria Carluccio, migrated to the USA, taking her only child, Giovanni, with her. There, they began to live in a slum in the Lower East Side of Manhattan, New York City. Sometime while living here, his name was changed to more Americanized Johnny. In New York, Maria met and married Salvatore Caputo, a grocery store owner and bootlegger. Eventually, Johnny had three half siblings, Nicholas, Isabella and Grace, born out of his mother’s second marriage to Carluccio. While still very young, John began to work as a porter in his stepfather’s grocery shop, which was actually a front for his bootlegging business. Thus, he came in contact with criminal activities early in his life. It is not known whether he ever went to school. While still in teens, Johnny Torrio became involved with James Street Gang, a group of petty criminals. Eventually, he became the leader of the gang and saved enough money to open a billiard parlor for the group. Slowly, he began to branch out into gambling, especially number games. By 1904, his business acumen caught the attention of another crime boss based in Lower Manhattan; the leader of Five Point Gang, Paul Kelly. Torrio also greatly admired Kelly and by 1905, James Street Gang was transformed into Five Points Junior and started receiving training in organized crime. Kelly advised Torrio to dress conservatively and to speak without swearing. He also told him to set up a legitimate business as a front. Over time, Torrio became Kelly’s number two. Along with working for Kelly, he also opened a legitimate operation of his own at Brooklyn dock. Behind it, he started operating illegitimate business such as loan sharking, which involved giving out loans at an extraordinary high rate of interest, bookmaking, opium trafficking, hijacking and brothel running. To run errand for him, Torrio recruited neighborhood children, one among whom was a boy called Alphonse Gabriel Capone. 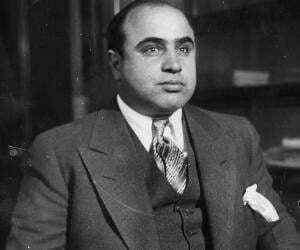 Later known as Al Capone, he quickly earned Torrio’s trust and soon became a member of Five Point Junior, graduating to Five Point Gang within a short spell. In 1909, Johnny Torrio moved to Chicago at the invitation of his aunt, Victoria Moresco. She and her husband, James Colosimo, notoriously known as Big Jim, were the owners of more than one hundred brothels and saloons as well a night club in Chicago. Since they had made it big, the Colosimos were being blackmailed by a group of extortionists and wanted Torrio to take care of that. On reaching Chicago, Torrio fixed an appointment to have the money paid; but as the extortionists came to collect it, he had them gunned down. On neutralizing the extortionists, Torrio started running the brothels for his uncle and aunt, setting up his root in Chicago. Soon, he started expanding the brothel business BY obtaining virgins through White Slave Trades. He also organized the muscle power necessary for running such a business. When two women escaped from the brothels and threatened to report, he sent two of his men, who met the women as undercover agents and gunned them down before they could testify against him. For the first ten years, Torrio operated from Colosimo's Café at 2126 South Wabash Avenue. Over the time, he opened a new saloon and a gambling den. In 1919, he opened a brothel called ‘The Four Deuces’ at 2222 South Wabash Avenue and began operating from there. Also in 1919, he brought Al Capone to Chicago. Capone had so far been working as a bartender at the Harvard Inn, a bar owned by Frankie Yale on Coney Island. He now joined Torrio as a bouncer at one of his brothels before being made a manager at called ‘The Four Deuces’. As prohibition came into force on January 17, 1920, Torrio saw a lucrative opportunity in bootlegging. But Colosimo did not want to enter into any new venture. 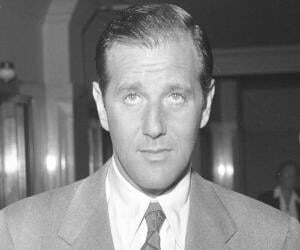 Moreover, he had by then divorced Torrio’s aunt, Victoria Moresco, eventually marrying a singer called Dale Winter on April 17, 1920. On 11 May, 1920, Torrio told Colosimo that a shipment of booze was about to arrive at his café. As Colosimo went there to collect it he was shot dead. Although it was never known who was behind the murder, Torrio was believed to be the man behind it. 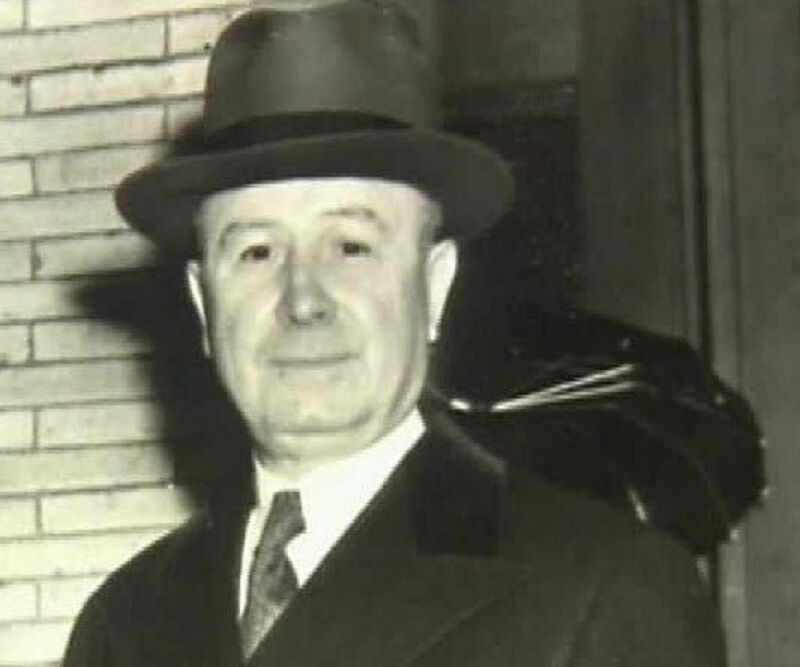 After the death of Colosimo in 1920, Johnny Torrio took over his vast empire and immediately ventured into bootlegging. He also consolidated his group, which until then was called the South Side Mob. Later it would be known as the Chicago Outfit. In 1920, he met all other Chicago bootleggers, especially Dean O'Banion, the head of the North Side Gang, to work out a system of territories so that bloody turf battles could be avoided. When they all agreed, the area was divided into number of territories. While O'Banion was given control over the North Side, Torrio retained the Loop and a part of the South Side. The arrangement lasted until 1923, by which time, Cicero, a suburbs of Chicago, had turned into a gold mine for the South Side and O’Banion wanted a cut from it. To placate O’Banio, Torrio granted him some bear rights as well as cuts from Hawthorne Smoke Shop, later known as The Ship. But O’Banio soon started having problems with other gang leaders, resulting in resumption of territorial fights among different gangs. O’Banio also double crossed Torrio in a brewery acquisition, which resulted in Torrio’s arrest and caused great monetary loss to him. Ultimately, Torrio lost his patience and ordered his execution. Accordingly, O’Banio was shot dead on November 10, 1924 while he was clipping chrysanthemums in Schofield's, his flower shop in the North Side. 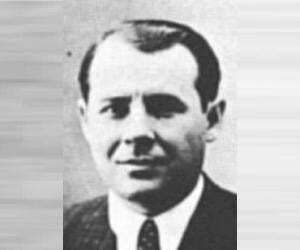 O’Banio’s death led to a bloody turf war between the North Side and the Chicago Outfit. On January 24, 1925, O’Banio’s henchmen, Hymie Weiss, Vincent Drucci, and Bugs Moran attacked Torrio while he was returning home from shopping, wounding him severely in the jaw, lungs, groin, legs, and abdomen. Although Johnny Torrio survived the attack he was severely injured and needed to undergo emergency operation. While he was recouping from the assassination attempt, Al Capone’s men guarded him round the clock so that no further attempt on his life was made. All along, Torrio maintained the gangland principle of omertà, which involved non-cooperation with authorities and kept totally silent, not revealing the names of the attackers. After his release from the hospital, he was jailed for one year for violating prohibition. On his release from the jail, Torrio decided to retire. Handing over his empire to Al Capone he left for Italy in late 1925 with his mother and wife. He also visited France. Although he did not participate directly in the mafia activities in Italy he was forced to return to the USA in 1928 as Mussolini began to mount pressure on them. Here, he invested in real estate, earning huge profit from it. Later he also established a legal liquor distribution company. 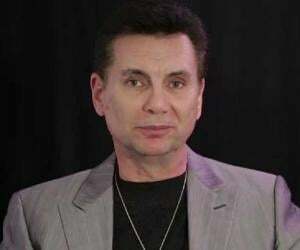 Concurrently while carrying on his legitimate business, he also helped in organizing the ‘Big Seven’, a group consisting on seven mafia gangs operating in the east coast of the United Sates. Prominent gangsters like Lucky Luciano, Longy Zwillman, Joe Adonis, Frank Costello, and Meyer Lansky were all part of it. In May 1929, Torrio attended a conference of mafia leaders in Atlantic City, New Jersey. Here, he proposed to establish a pan-American organization on the same principle as the ‘Big Seven’. Out of this, arose a multi ethnic confederation that came to be known as ‘National Crime Syndicate’. In the early 1930s Torrio bought the Prendergast & Davies Company, LTD. for $62,000. Although it was a legitimate business, he kept his name out of the official record for tax purposes. However, a competitor reported on him and very soon, the tax authorities began a probe against him. On October 24, 1935, a Jewish American mobster called Dutch Schultz was shot and in his deathbed, he mumbled Torrio’s name quite a few times, which made the police suspicious. This, together with income tax probe made Torrio very worried. By 1936, Torrio got the news that he would prosecuted for evading around $86,000 in income taxes. He now decided to move to Brazil. On April 22, 1936, he went to the White Plains Post Office to pick up his passport. There he was arrested by an Internal Revenue agent. Johnny Torrio was imprisoned at the Federal Detention House in Manhattan on a $100,000 bond. As his wife bailed him out, two more charges were added. She again bailed him out. The trial ended on March 29, 1939. Torrio was sentenced to two and half years of imprisonment and a fine of $86,000. On his release in 1941, he fully retired from underworld activities and concentrated on his real estate business, spending his days in Brooklyn, St. Petersburg, Florida and Cincinnati. Sometime while working under James Colosimo, Johnny Torrio married Anna Theodosia Jacob. He loved her very much and was forever devoted to her. The couple did not have any children. Initially, Anna was ignorant about the real nature of his business. To the society, he was known as Mr. Langley. After his arrest in 1936, she came to know something about it and made him promise that he would refrain from wrong doing, a promise he kept until his death. On April 16, 1957, while he was waiting for a hair cut in a barber’s saloon, Torrio had a heart attack. He was immediately taken to the nearby Cumberland Hospital, where he died within few hours. Johnny Torrio was quietly buried in Green-Wood Cemetery in Brooklyn, New York City. It was sparsely attended and the press came to know about it only three weeks later.